I randomly drew a name from the feedback on the most creative ice cream flavors, and xsquared was the winner of the free pint of Ben and Jerry's! Way to go! i never seen these crazy flavours you speak of! I am going to have to start looking harder! 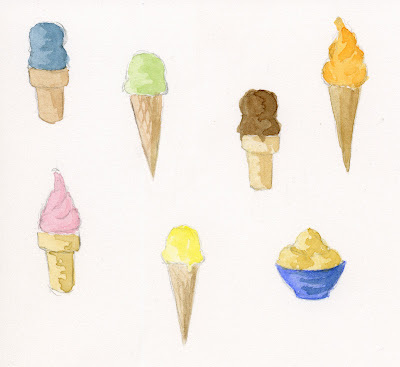 Thanks all for some good flavor ideas to fill out Ice Cream Month! I am not sure I will try all of them (I don't like sesame seeds or green tea), but they are good to have on the back burner for my ice cream party.